A premier California Brass Band! Meet our May concert soloist, Laura Shea-Clark! 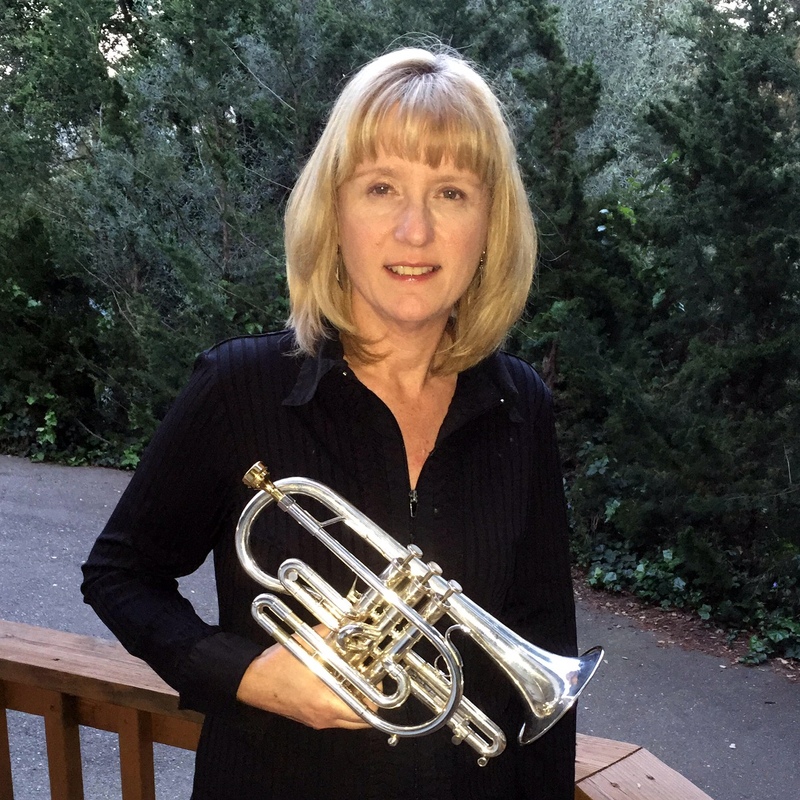 A native of Chicago, Laura grew up playing in Salvation Army brass bands and played with the Illinois and Chicago Brass Bands, which between them won seven North American Brass Band Association Championship titles. She also won the NABBA solo competition with “Song to the Moon”, our featured solo piece for this concert. In addition to freelancing and subbing in various groups, she performs with the Bay Area Rainbow Symphony, Palo Alto Philharmonic, Saratoga Symphony, and Lyric Theatre, and she is section leader for the San Francisco Wind Ensemble. She and her husband, Guy, both play trumpet for the Santa Cruz Nutcracker Ballet and sub in the Santa Cruz Symphony.